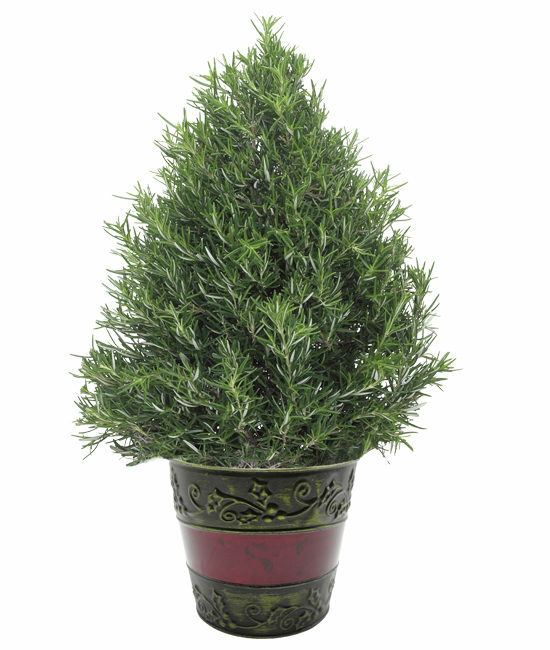 Due to a drought this past summer our Christmas Rosemary Tree is unavailable. May we suggest our Holiday Lavender Tree as a replacement product. 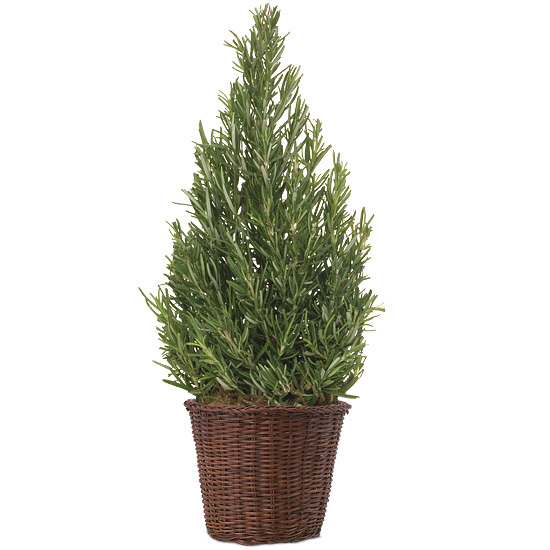 Trained and trimmed into the traditional Christmas tree form, our rosemary tree imbues your favorite holiday setting with the essence of the season and the wonderful fragrance of this savory herb. The tree is tucked into our embossed seasonal metal cachepot with a festive red stripe making it a perfect holiday gift for those who appreciate epicurean delights or relish the sweet and simple. Also ideal for business gifting. Non edible. Your Rosemary plant is ornamental only and not intended for human consumption. Place your plant on a windowsill or in a sunny area. Keep your plant on the dry side. Water once a week and allow for proper drainage. Do not allow your plant to sit in water or become soggy. Trim away spent sprigs that yellow. Fertilize with an acidic fertilizer during the warm season. After your tree has spent the holidays indoors we recommend planting it outside in a sunny area.